Kimi Raikkonen says the chances of curing his qualifying issues are being hampered by the tyre usage restrictions that have been imposed over the second half of the campaign. As reported by AUTOSPORT, Raikkonen has suffered a drop in qualifying form because the new Pirelli tyres used since the Hungarian Grand Prix do not suit his driving style. Although he has made some progress on the issue in recent races, he revealed ahead of the Indian GP that he is being limited in what he can do by the camber and pressure restrictions that Pirelli have imposed on safety grounds. "The limits on the cambers and pressures, they add up to a lot," he said, when asked by AUTOSPORT about how he was coping with the matter. "There are not many things you can do, and unfortunately we are a bit stuck. If we were free to do with the cambers what we want, it would be a much easier thing. "Hopefully we can try to do other things, but then you start hurting in places that you were fine before. "It is a never ending story and we are not really getting anywhere - so we have to try to figure it out. It is what it is, but we are not worried by it. "In certain places yes I could go faster, but we have to try to live with it." Despite fearing that the usage limits will prevent a total cure for his problems he thinks that some progress is being made. "We have some plans and hopefully we can improve it a bit," he said. "I am sure we can do better than the last few races." Q: The last time we spoke youâ€™d just had to swallow Kimi Raikkonenâ€™s 2014 move to Ferrari - have you fully digested it now? Q: And itâ€™s not hurting anymore? EB: No, itâ€™s not hurting anymore. I have to say that seeing Romain blossoming, the car performing and the new generation that we brought in after (former technical director) James (Allison) left for Ferrari delivering, it all looks very good right now. Q: Since he knew Kimi was moving on, Romain has indeed appeared to bloom. Is that pure coincidence? EB: Frankly speaking, yes, it is a coincidence. You could say that Romainâ€™s stepping up started in Germany. Since then Romain was always there when we had a good enough car. True, always behind Kimi, as he still was doing little mistakes, but always very close. In the races where we struggled, both drivers ended up nowhere, but the moment we returned to â€˜ourâ€™ tracks Romain was immediately there again with a podium in Korea and Japan. And that was no coincidence. EB: Yes, it is true, it was a bit of an unlocking in his mind - at the right time. He was already on the right path. His personal life is going well and he started to blossom. When Kimi announced his departure it was the moment when something unlocked in Romain and the blossoming gained speed. Every piece seems to fall into place for him. Heâ€™s got momentum right now - and heâ€™s using it. Q: Lotus is now the most attractive drive available for 2014. For you, who is for you the next best thing to Kimi? Q: We are talking about the vacant seat. Grosjean is already on your payroll. Q: Will you sign him? EB: I would love to. This is the recommendation that I gave to my board. Q: You have said that getting the Lotus drive is all about talent and not about money - but what about size and weight? Would that matter? EB: It would matter if you have a problem over weight with the car. I believe we will not have that problem. Q: Can you make that prediction from the state the 2014 car is in right now? EB: We have been monitoring the situation for months. The car has been virtually weighed and today I can say that weâ€™re fine. We always based our car on the size and weight that is similar to Nico. More or less. Q: Weâ€™ve heard frequently over the last couple of weeks that a contract between Lotus and investors is only a matter of days away. Whatâ€™s the state of affairs right now? EB: This is a very complicated matter as it touches so many more issues than only Lotus. It is involving Genii - and many other aspects and many different parties. We probably underestimated a bit the amount of work such a deal implies. All the paperwork and all compliance is done, the lawyers gave it the nod - now we have to bring all these things together. I would say that 98 percent of the deal is done. The only issue that there is right now is that there is a deadline. We already dragged this out for many months, but we cannot drag it out forever. We have a deadline - and I hope they will not miss it. Q: With that deal in place, are the tough times then history for Lotus? What will it mean? EB: For us it would mean a long-term financial commitment. It would mean one level up and for the next five years it would allow us to build a different strategy for the team. You are free in your choice. You can pick up any driver by merit and work on the attractiveness of the team. We have good people, a very good car and a great ambiance in Enstone, and with more means and resources you can refine all these things even more. Q: Would that mean that you come nearer the level of McLaren or Mercedes? EB: I hope so, yes. Maybe in between. Q: Recently only Renault-powered cars seem to have what it takes for a podium finish. Is that coincidence? EB: Itâ€™s part of it. Itâ€™s not all due to the engine, as these are good cars. It is the package. Renault is very rooted at Lotus and Red Bull. It is more a part of the team rather than just an engine supplier. Working with them means that we are able to find better ways of how we use the engine and the chassis. EB: â€¦and I can tell you that this is not related to the engine at all. EB: Well I think in the case of McLaren theyâ€™ve stepped down in their performance, so my guess is that theyâ€™ve stopped earlier with the development of the 2013 car. It is true that our latest car - the long-wheelbase development car - has already had some benefits for us. Q: So P2 in the constructorsâ€™ championship seems to be a very realistic prospect for you? EB: I think today we have the best package in terms of performance. The tyres work for us and the tracks we are heading to for the last few races suit us - the layout is good for us. And we are in the position of the challenger, which is the better one to be in as it means less pressure. Q: Are you convinced you can do it? EB: Yes, pretty much so. Q: So there is only the issue of the second driver that has to be solved. When will that be? EB: I would love to do it before Abu Dhabi. The end of this season has become quite frustrating.. This season is really going to be painful until the end. I just wish the season would be over already, it has been very boring in any case. 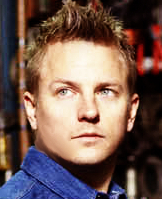 I hope Kimi can atleast do slightly better in qualifying, that will help. TS wrote, "IN FP1 mechanics made an error. And then Kimi says "At the morning there were some parts in the car that shouldnt have been there"
I wonder if it was old parts? or next year parts? or parts of Gro? or broken parts?? loose seat in Singapore, n now wrong parts?? surprising, Lotus. amateur or professional? or on purpose? Getting my back treated by #Kimi's physio when he suddenly steps in and says: "I give him to you if you give me quicker tyres for tomorrow". I must admit THAT wasn't the exact words -but I'm afraid the real request would speak out some set-up hints! Anyway hope u get the message..
Kimi RÃ¤ikkÃ¶nen qualified sixth with team-mate Romain Grosjean seventeenth ahead of tomorrowâ€™s Indian Grand Prix. Warm, dry conditions remained throughout the day at the Buddh International circuit, with the poor visibility that had hampered FP3 earlier in the day clearing sufficiently to allow un-interrupted running for qualifying. A tightly contested Q1 session saw Kimi make two runs â€“ one on each tyre compound â€“ to eventually progress in P6 using the soft rubber. Romain by contrast ran a single stint on medium tyres; a gamble which narrowly failed to pay off as the Frenchman found himself eliminated at the first hurdle, despite posting a time just a second away from the fastest car. Q2 was more straightforward for the remaining E21; Kimi progressing comfortably to the top ten in fourth with a strong pair of single lap runs on the medium tyres. The final session saw the Finn take sixth spot at the flag with a single run on soft rubber. In hindsight we made the wrong call with Romain. We expected him to progress quite comfortably through Q1 on the medium tyre and unfortunately this wasnâ€™t the case. Clearly, heâ€™s starting a long way out of position and will need a strong charge through the field to make it into the top ten, but weâ€™re extremely confident that heâ€™ll be able to do so. How far into the points he can progress will depend on the start and our management of the tyres. It was a reasonably straightforward session for Kimi with no real dramas. Heâ€™ll be the first to admit that qualifying hasnâ€™t been going to plan for him recently, and heâ€™s about where we expected him to be after free practice this morning. As always weâ€™re confident that his race pace will be exemplary, so weâ€™re anticipating a very strong race from him starting from sixth on the grid. Where do we stand in terms of setup to help the drivers progress through the field tomorrow? Weâ€™ve taken this into account after seeing how tough overtaking can be here during last seasonâ€™s race. Kimiâ€™s car is certainly more biased towards race pace than single lap performance, and weâ€™ll be looking at ways to help Romain carve his way up the order overnight too. Our race pace on the medium tyre looked strong during practice, so weâ€™re hopeful of making progress. What are the tyre strategy considerations for the race? Today very much followed the pattern of the weekend so far, with the option tyre suffering from blistering and graining while the prime looks to be a very strong choice for the race. Weâ€™ve seen so far that thereâ€™s about a second per lap difference in long run pace between the two. One of the keys to the race is certainly making the front left tyre â€“ and to a lesser extent the front right â€“ last when using the soft compound; particularly on high fuel at the start of the race. Kimi Raikkonen believes he has made some progress in improving his qualifying performances even though he still cannot get the car to handle as he wants it to. The Finn was sixth fastest in qualifying for the Indian Grand Prix, his best position on Saturday since he took fourth at the Nurburgring in July. Raikkonen revealed yesterday that the camber and pressure limits introduced at the German GP have held him back, but while he is not happy there have been some gains. When asked by AUTOSPORT if qualifying is back to normal, he replied: "No, I don't think so. "The issues are still there but it's maybe a little bit less. "We can go much faster but we have to do those things [change restricted settings]. "Overall, it was a little bit better, but it's still not as I want it. There are still some issues." The 2007 world champion is hopeful of being able to contend for a podium finish from his place on the third row. In the last three races, he has finished in the top five every time, twice on the podium, even though he started no higher than ninth. "Usually we go better in the race, so that's the aim and we have to see what happens tomorrow," he said. "There are a lot of different ways of doing the race, differences with the tyres, so we will see how it goes. "You cannot plan the race as there are a lot of things you cannot plan, the start, safety cars. "You try to make the best decisions where it comes and see where we are." For once we actually have a mildly interesting setup for the race, with some people starting on the soft tyres and others on medium tyres. Kimi needs to get a good start tomorrow, I just hope he can keep Alonso behind him. I have a feeling that the soft tyres might last a bit longer then what people are expecting from FP2. Vettel is on the same strategy so hopefully it is alright to be soft tyres. Of course it is always different driving in the pack then driving out in front. It is difficult to predict what might happen, Ferrari also looks stronger here, if the medium tyre strategy works out then Alonso will properly do well. Lotus will properly try to drive for longer on soft tyres, that could work it the soft tyres could last a bit longer, but it will not be good if the soft tyres lose performance quickly.